This Pryanco Model 303 with a Peacock Cover dates to the earliest days of musical long-bell door chimes. 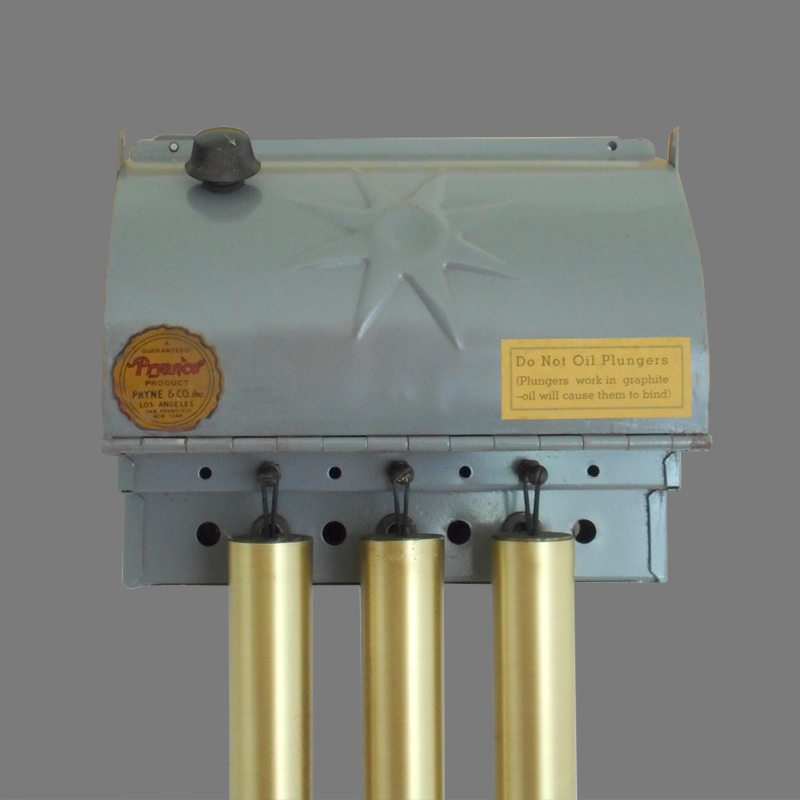 The 303 mechanism employed here plays the Westminster Peal on three tubes. 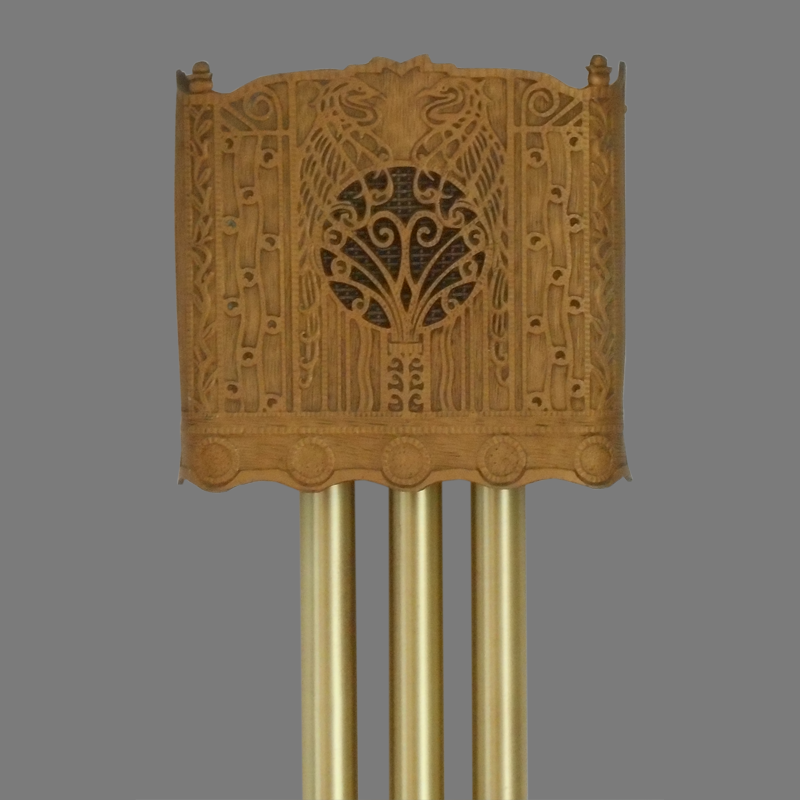 While not possible to date precisely, Pryne and Company began marketing door chimes in the mid 1930s so this chime was within a year or two of their beginnings. 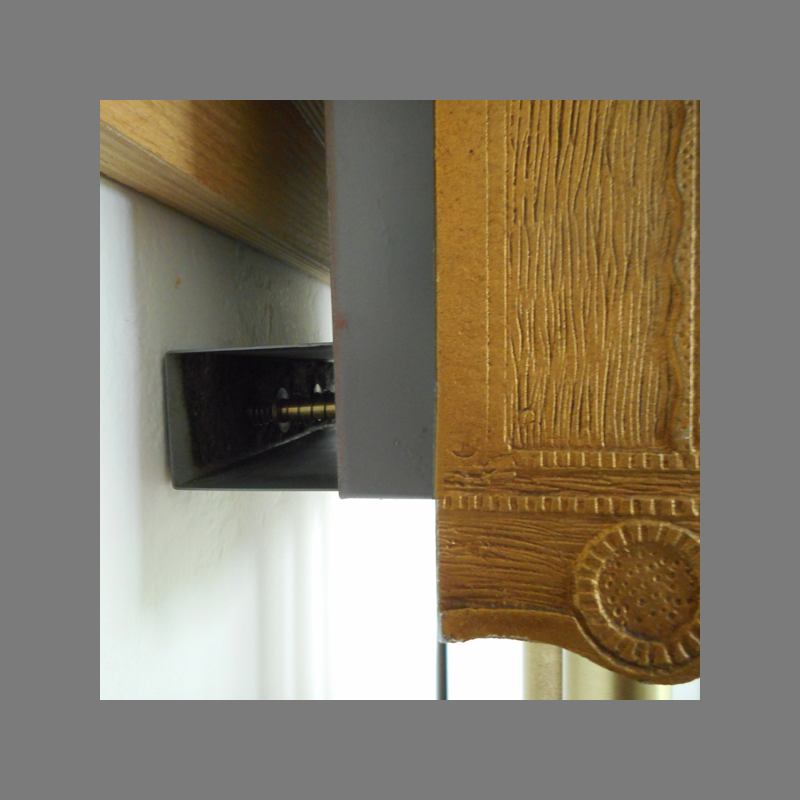 Common to many of the earliest door chimes was the necessity to create a hollow in the wall behind the case for the solenoid casing which is a couple inches proud of the back plate of this door chime. Although only speculation, this was likely necessary to provide a long enough travel for the solenoid plunger to gain adequate velocity before striking the bell. A good, solid impact was particularly important with the 1 1/4 inch tubes of heavy gauge brass supplied with Pryanco three and four tube chimes. Pryanco later solved the velocity issue with angled solenoids. Mechanism Steel with bakelite terminal blocks, commutator and circular contact plate. Notes Cover in original condition. Bells and mechanism restored.